413. What does oversensing look like on ECG? 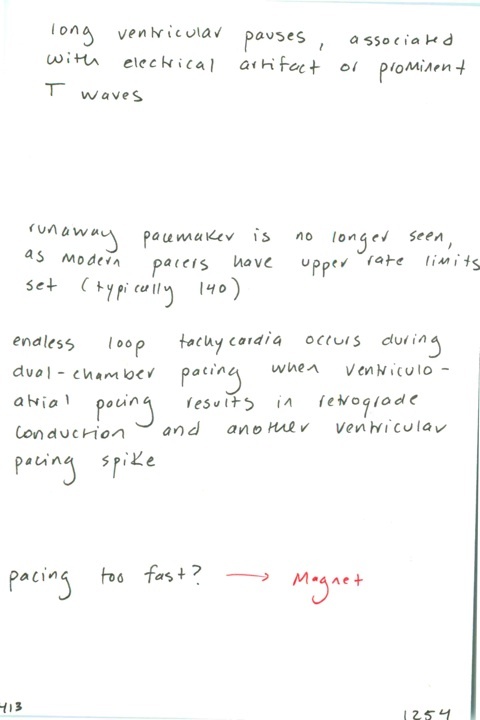 / What is runaway pacemaker and endless loop tachycardia? / What therapy may interrupt pacemaker-mediated tachycardia? Previous PostPrevious 412. What is exit block and what are its causes? / Most common cause of undersensing / What does undersensing look like on ECG? Next PostNext 414. Pain in arm ipsilateral to pacemaker insertion suggests / Defibrillation with pacemaker in situ? / Why failure to capture post-defibrillation?